As I mentioned in my last post, I spent a lot of time pickling this weekend. We have had a huge crop of Persian cucumbers (as I mentioned before in this post). Obviously there were more cucumbers than mouths to eat them, so naturally I decided to pickle them. 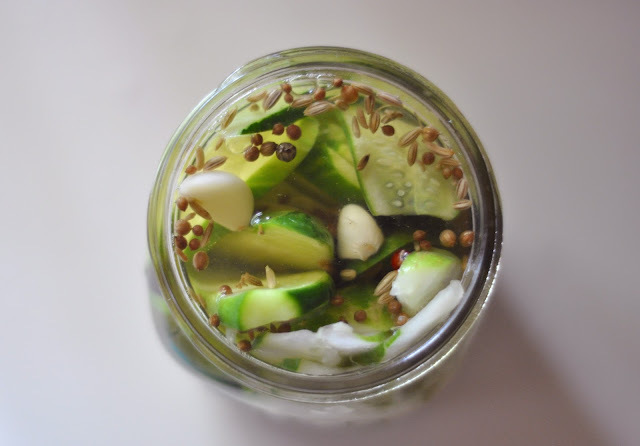 Persian cucumbers are not the traditional "pickling" cucumber so I strayed from the usual dill style and went with something more spiced (not spicy as in hot, rather, flavored with heavy spices). 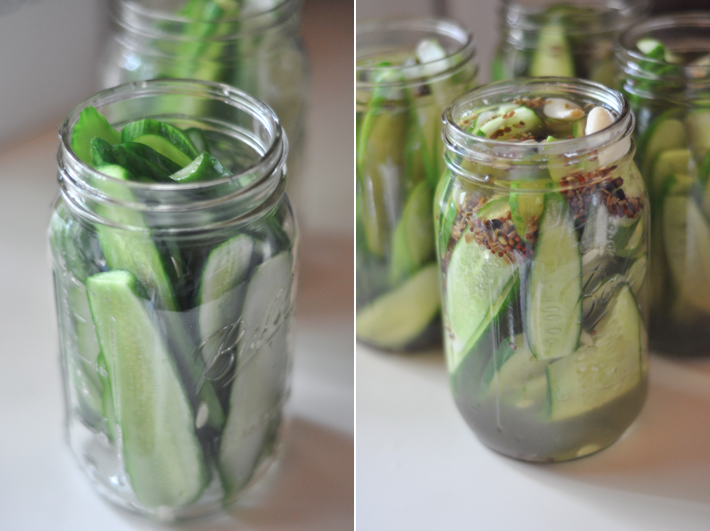 This recipe is for refrigerator pickles. They are quick and easy and all you need is a week's notice.